A “ghost bike” has appeared at the site where a Boston University student was killed in a bicycle accident Thursday. 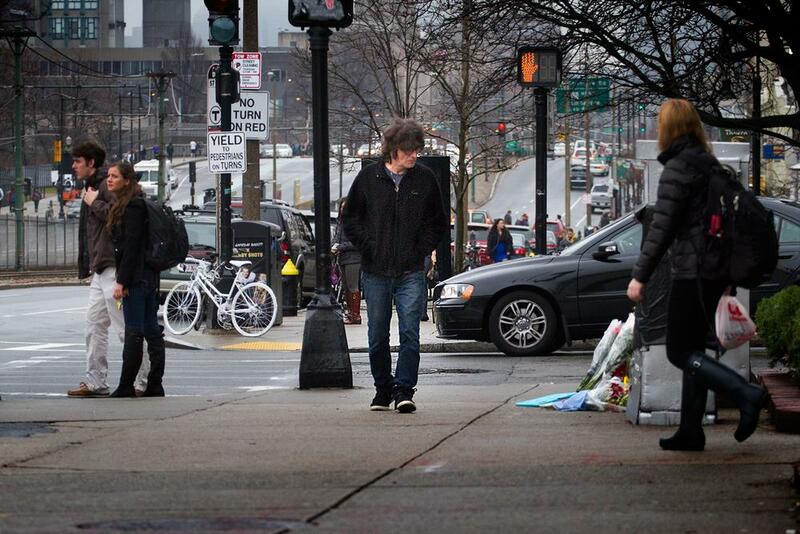 Christopher Weigl, a 23-year-old graduate student in BU’s photojournalism program, died in a collision with a tractor trailer at the intersection of Commonwealth Avenue and St. Paul Street. Boston Police are investigating the accident. According to the website ghostbikes.org, ghost bikes first appeared in St. Louis, Mo., in 2003. There are now more than 500 around the world. 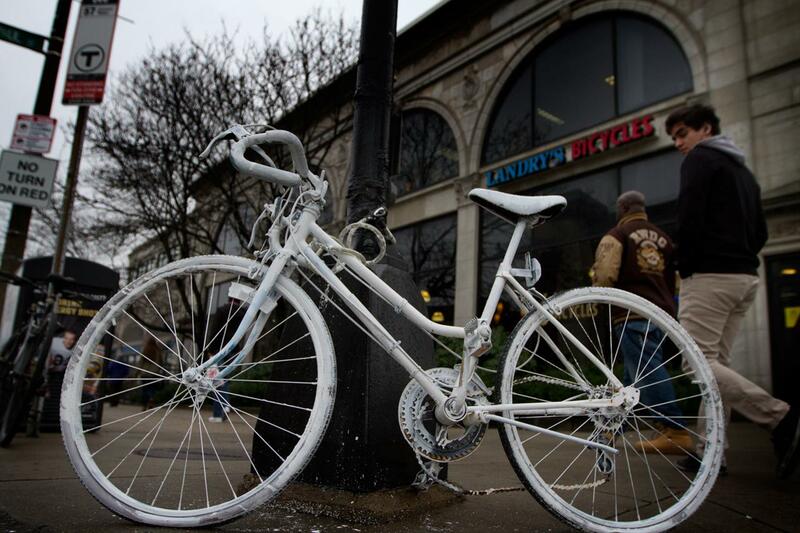 They are bicycles painted all white and locked to a street sign near the site of a fatal bicycle crash. They are installed by friends, family members or fellow cyclists, and “serve as reminders of the tragedy that took place on an otherwise anonymous street corner, and as quiet statements in support of cyclists’ right to safe travel,” according to the website. The all-white bike grabbed the attention of passing BU students and employees on Monday. Maria Andrea said she always rides her bike and is “so scared” in the wake of the fatal accident and another that claimed the life of a BU student in September. Others called the bike a touching yet sad reminder of what happened at the intersection. But Mark Voutour, the manager of Landry’s Bicycles, which is located on the same corner, said he has mixed feelings about the message he believes the bike sends. He prefers the candles and flowers laid out in honor of Weigl, the victim, across the street, and insists he isn’t concerned about the very visible marker of the accident affecting his bicycle business. Here & Now: Do ‘Ghost Bikes’ Show Failures Of Road Sharing?